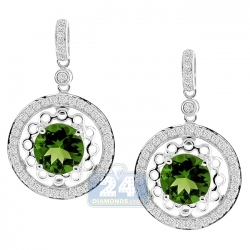 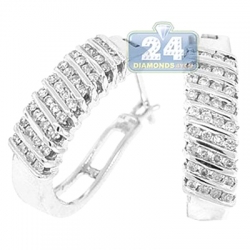 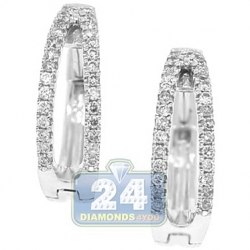 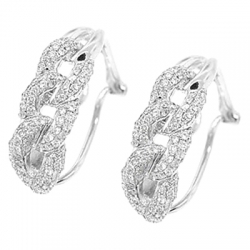 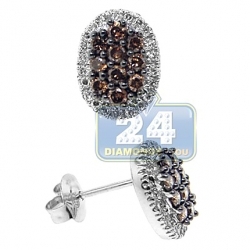 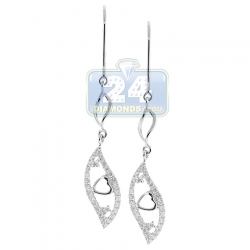 Glamour triangle design of our diamond dangle earrings gives magnificent look! 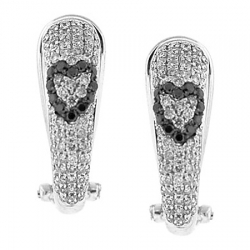 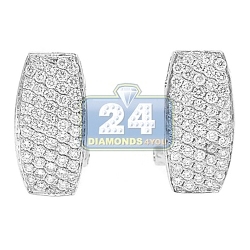 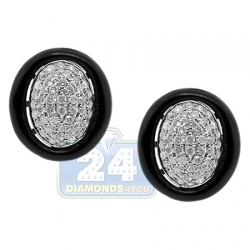 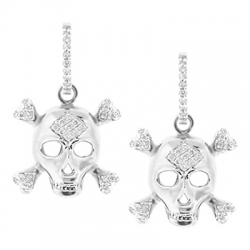 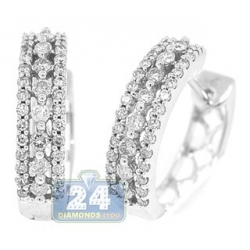 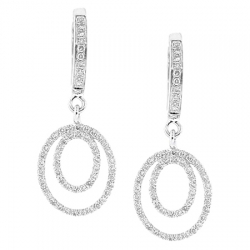 They're artfully made of cool 14 karat white gold, and highly polished for smooth sparkling finish. 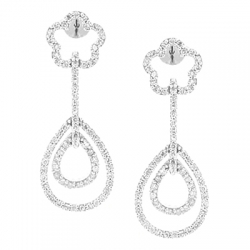 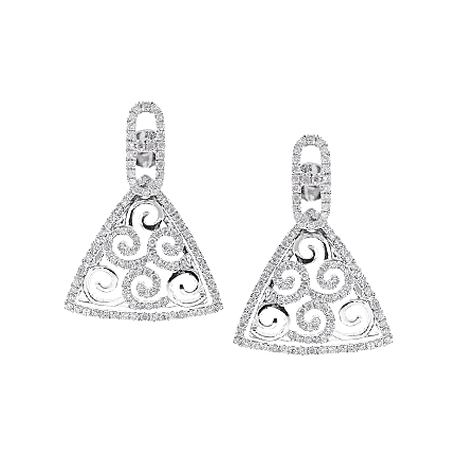 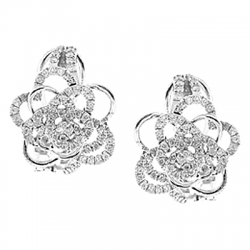 Our women's drop earrings are amazed with 0.90 carat of icy white round-shaped natural diamonds. 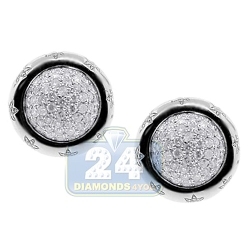 The pair has height of 27 mm, width of 19 mm. 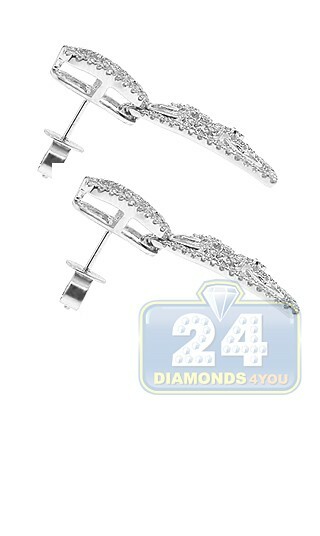 and closed by comfortable push backs. 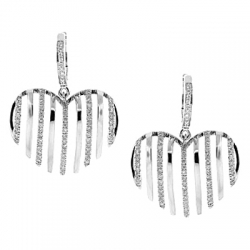 Gorgeous piece of jewelry!